As professionals we are always seeking improvement, increased knowledge and improved service delivery. Understanding your client or patient should be a quality we all offer, however sometimes we become relaxed or think we know all there is to know and we lose our ability to ‘connect’. It’s the difference between someone calling ‘ hey you!’ or calling them by name. Pivotals’ training for Allied professionals has been designed to deliver enhanced understanding about the person and not just about the process. Ashby Memory Method™ – Designed to empower caregivers of mild to moderate Dementia and Alzheimer’s clients. Learn the strategy behind the Ashby Memory Method™ and how understanding who your patient is, is the first step in understanding how to assist them. We will introduce the fundamentals of this non-invasive method, explain the Life Story component, review the science and research behind it, describe how to use it within your practice and generate additional revenue. Review several of the 500+ subject booklets, how to host a ‘memory clinic’ and increase your client base. Upon completion you will become an Allied Professional for the Ashby Memory Method™ with registration and referral opportunity. People Centred Care – Derived from years of research and experience, learn the reasoning behind People Centred Care, how it works and the challenges professionals face. Comparing People Centred Care to current care models. Understanding the person leads to better care. Empowering you and your organization. Examine the key points of caregiver/patient implementation. Naomi Feil, M.S.W., A.C.S.W., is the developer of Validation. We introduce the need for understanding older adults as they approach end of life. 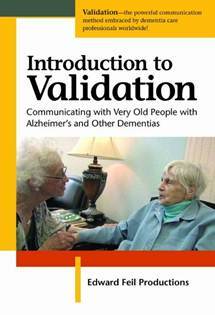 Often viewed as disoriented, non verbal and inflicted with repetitive motions (also those with Dementia and Alzheimer’s), Validation offers an understanding about the person and asks the caregiver to be in ‘their shoes’. Understanding the 4 progressive stages of behavior. Help draw out the person buried in the body! Courses are being offered throughout Ontario. To have the Pivotal Allied Professional course made available to your organization please call and speak with one of our representatives or contact us to find one close to you. The AMM Allied Professional training is an interactive course available in major cities across Ontario. Please contact us for pricing.